GRAND HAVEN, Mich (WXMI) - Scary moments for people at Peace at Home Caregivers, after a vehicle crashed into the building Wednesday morning. 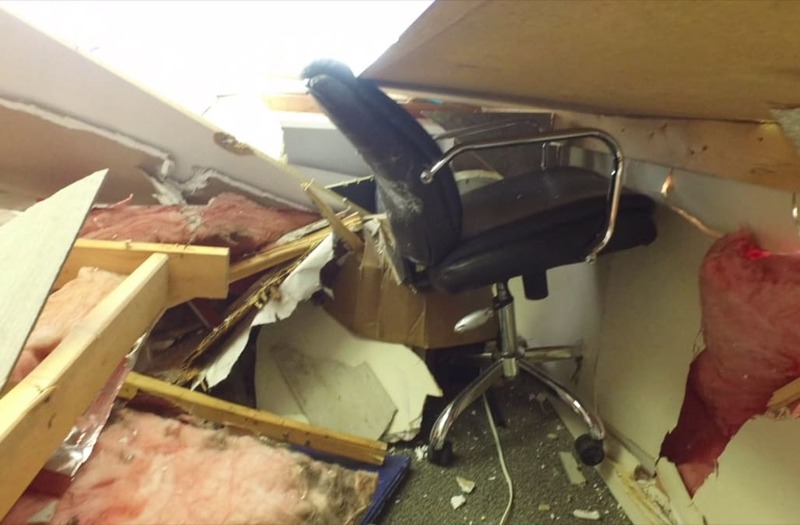 The operations manager of the facility located at 801 Robbins Road tells FOX 17 a woman drove into the building around 10:30 a.m.
A receptionist was barricaded by debris following the crash but was rescued without any injuries. A Michigan woman says if she had taken her break any later than she did, then she wouldn’t be alive now.